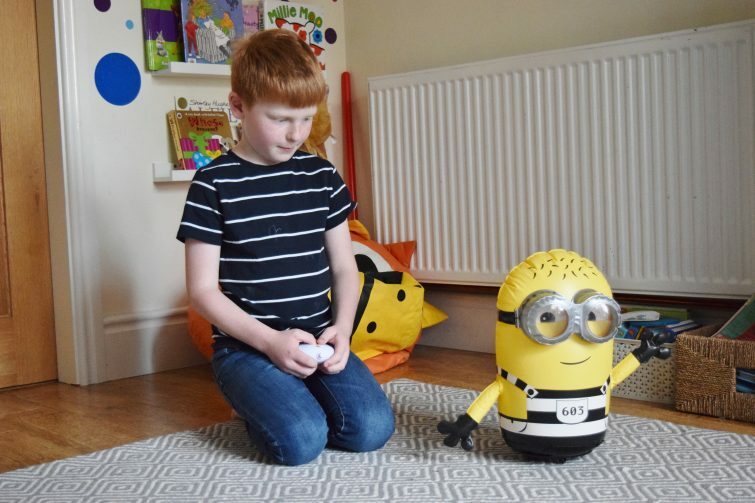 What do you get if you combine a remote control with an inflatable minion? A whole lot of fun that’s what! 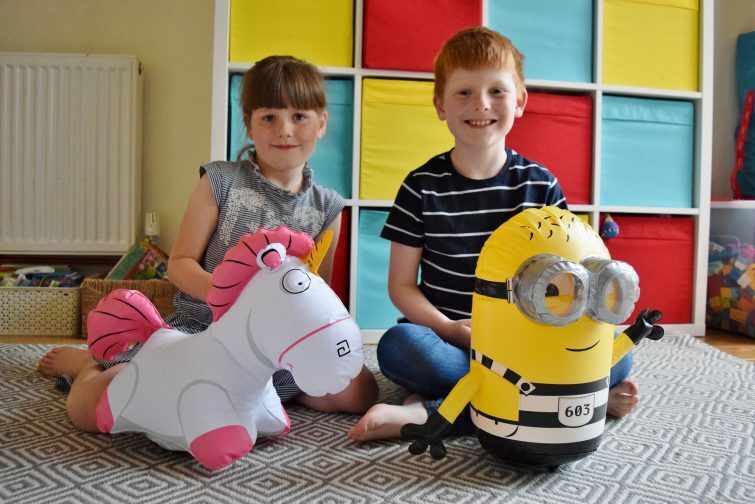 Ben, Chloe and Amy – like most children of their age – are big fans of Minions and are all really excited about going to see the new Despicable Me 3 film at the cinema at some point soon – I think I might have to make that one a rainy day treat in the summer holidays. 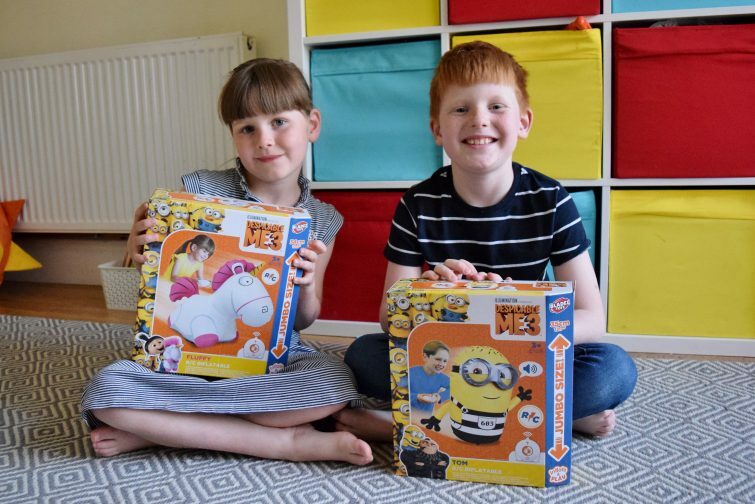 Anyway I’m sure you can all imagine how chuffed they were to discover we had been sent two characters from the new Despicable Me 3 film – Fluffy and Tom. Although Ben is fairly experienced with remote control toys, I don’t think Chloe has really played with any before however the simple handset needed no explanation and she soon had Fluffy whizzing around the playroom (though her favourite thing was to just spin her round on the spot!) 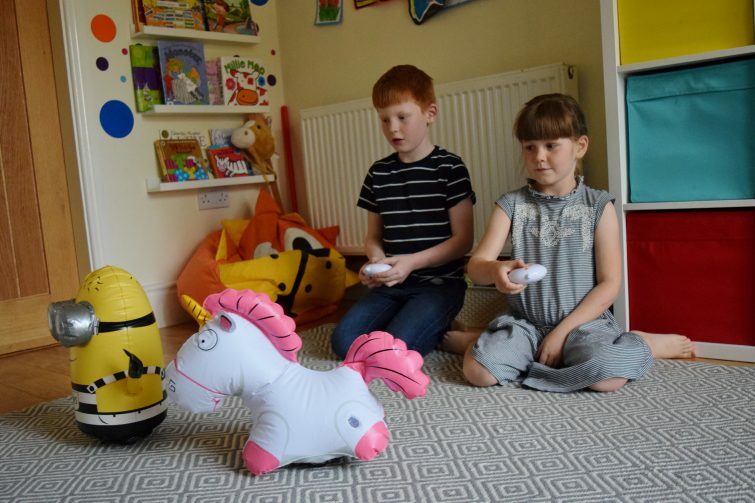 Even Amy was able to have a really good go at playing with the inflatable characters making them a great introductory remote control toy. 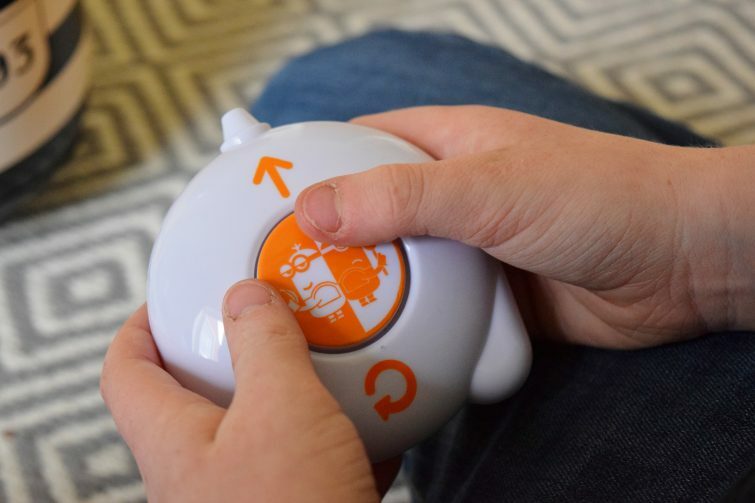 During the course of play we discovered that the toys are rather reminiscent of weebles – you know those toys from your childhood that you couldn’t knock over? The inflatables are really well balanced and even if you knock them they will right themselves. 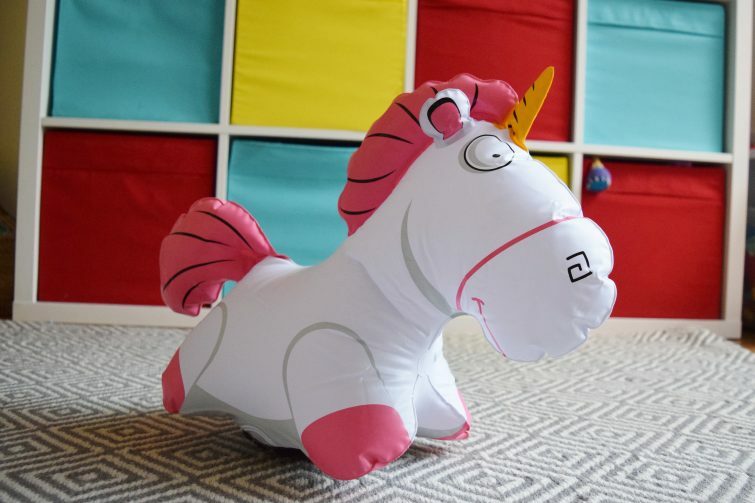 By the very nature of them being inflatable you don’t really need to worry about them damaging your furniture or hurting you if you they crash into you. 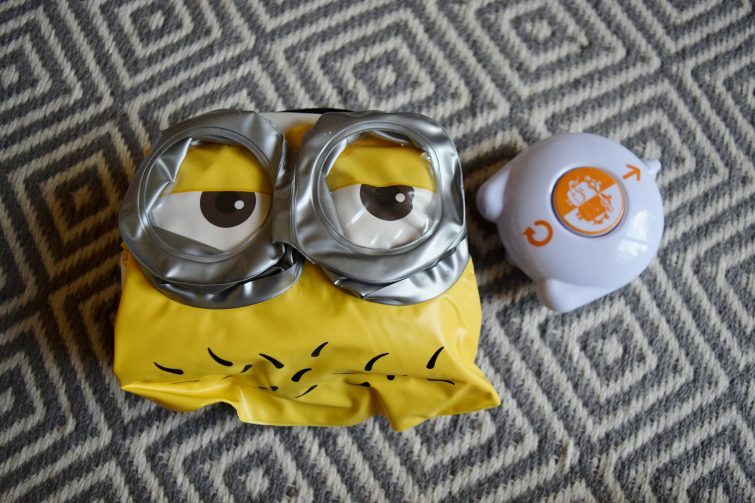 The material of the inflatable feels quite thin and I honestly thought that they would have burst within a day’s play however, so far, there’s been no such accidents. Each toy does come with a handy puncture repair kit should the worst happen! 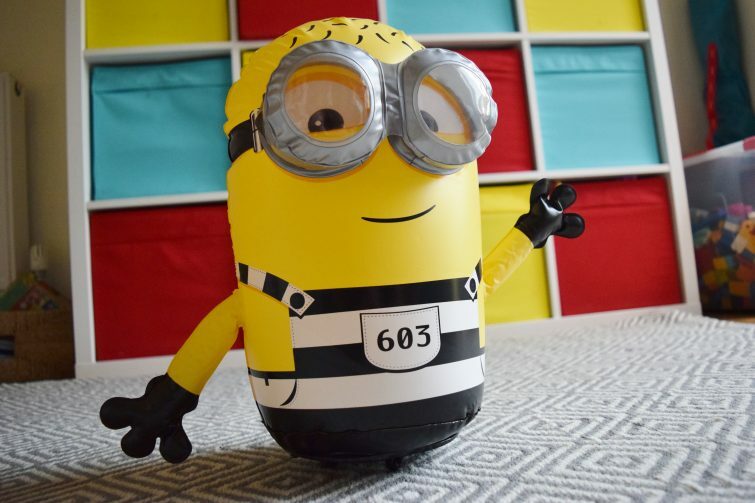 If you need an inflatable Minion in your life (and let’s face it who doesn’t?) you can pick one up at your local Entertainer Toy Shop or online.